In the United States, if you have an Apple iPhone or iPad, it’s a strong sign that you make a lot of money. That’s one of the takeaways from a new National Bureau of Economic Research working paper from University of Chicago economists Marianne Bertrand and Emir Kamenica. There are details and caveats to the research, but the economists found that owning an iPhone gave them a 69% chance to correctly infer that the owner was “high-income,” which they defined as being in the top quartile of income for households of that type – like single adult or couple with dependents, for example. 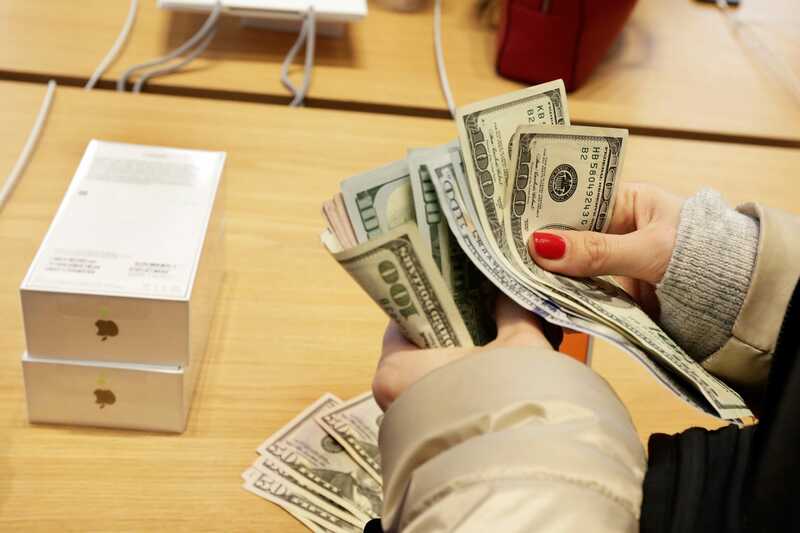 iPhones being closely correlated with high income is a recent trend, according to the research. After all, iPhones were only introduced in 2007. 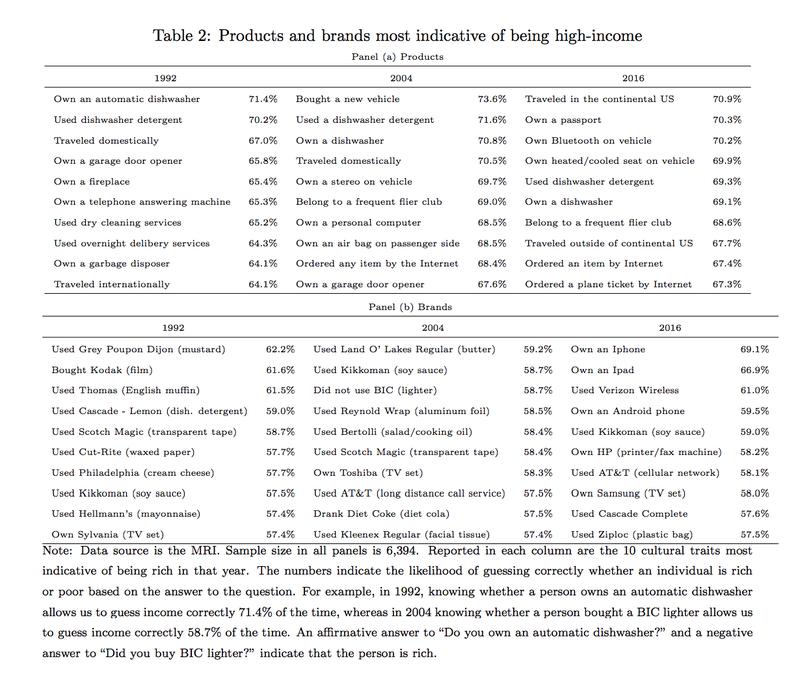 In 2004, Land O’ Lakes butter and Kikkoman soy sauce were predictive of high-income households. In 1992, Grey Poupon mustard was the strongest sign of a rich family. top or bottom income quartile 69 percent of the time,” they write. The research also suggests that owning an Android phone or using Verizon are a strong indicators of being high-income as well. The paper is a look at how different groups – such as rich and poor, black and white, men and women – have had their preferences diverge over time. The economists used a machine learning algorithm to conclude that “cultural differences,” or how common brands and experiences are across groups, aren’t getting larger over time. “This take-away runs against the popular narrative of the US becoming an increasingly divided society,” the researchers write.